A friendly reminder post about IHG's Reward Nights. Faster. 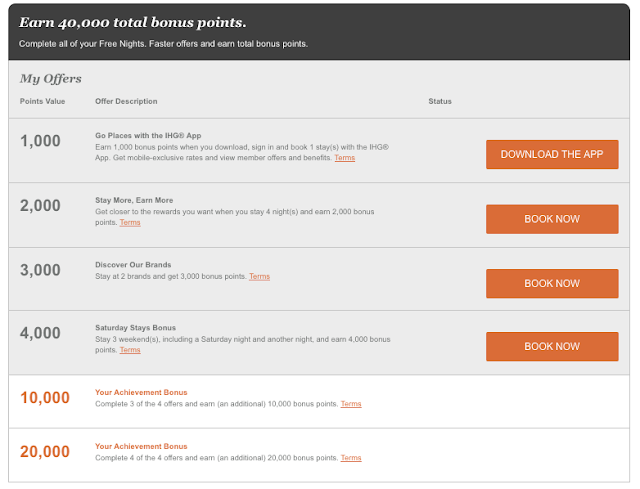 promotion where you can earn 40,000 or more bonus points for your IHG stays. Remember to register right away for it even if you don't have any stays planned. You never know when your plans may change, book an IHG hotel and remember after you check out that this promotion was out there. IHG's Reward Nights. Faster. is essentially the same as previous Accelerate offers where the bonuses vary by member and you find out what your offer is after registering. Based on the wording of the promotion I received the base offer of earning up to 40,000 points.